Perhaps I’ve been doing too much Quantrix lately and my brain has turned to mush so I’m reaching out to you for help! 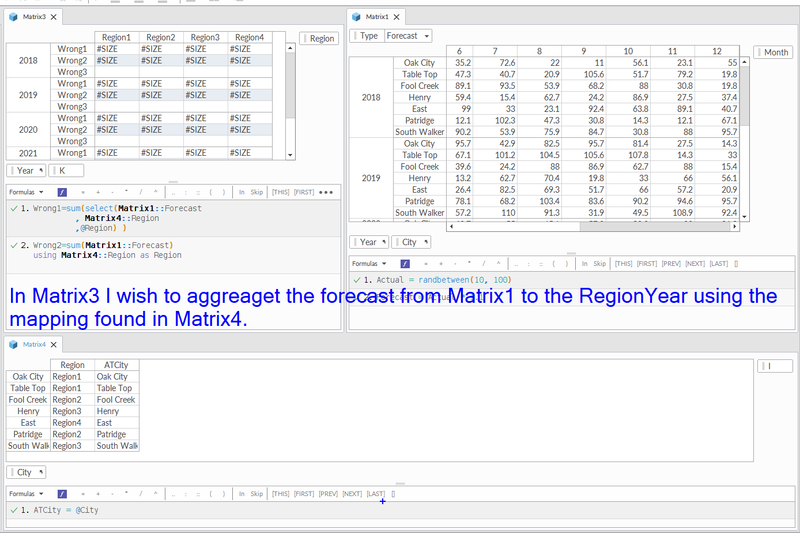 In the below screen shot I want to pull into Matrix 3 the forecast values showing in Matrix 1. The mapping that links Region to City is found in Matrix4. I understand why I receive the size error it is because Region is not being permuted across the city category in Matrix1. Do you know how to solve this problem WITHOUT using any helper cells or additional structure? The solution needs to be contained in a formula.